New with tags, unused. 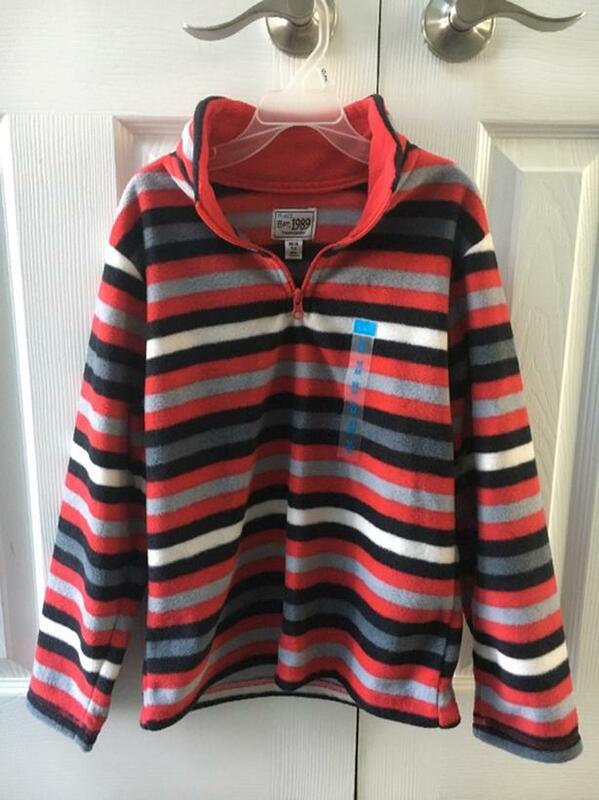 Boys long sleeve, half zip mock neck, polar fleece pull over size medium (7/8). Red/Gray/ White/Navy Blue. From the Children's Place. Comes from a smoke free home. Cash only please, you pick up. Please see my other items for sale. Thanks for looking.